 Lonely and need to talk to someone? 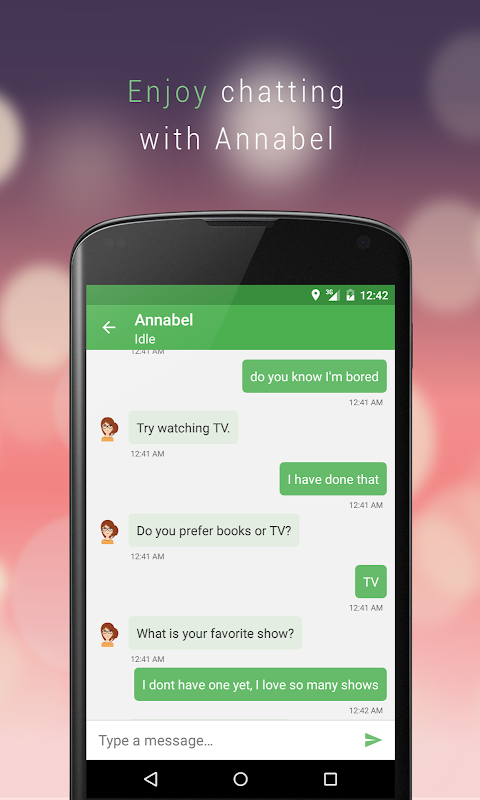 Chat with Annabel, your virtual friend. Annabel is a friend when you're bored and lonely, a companion when you need someone to talk to and chat with. Bored and don't know what to do? Then chat with Annabel. She speaks English, and you can listen to her talk and learn from her if you do not speak English. She is a clever girl and your virtual friend and you can't feel lonely or bored while chatting with her. 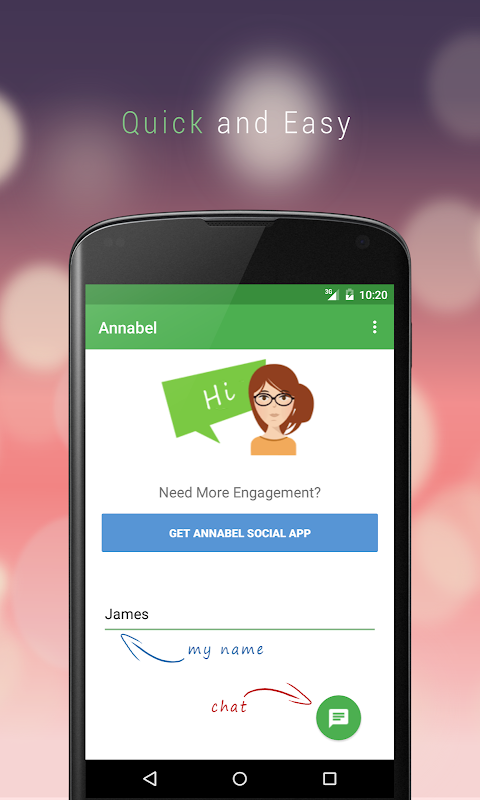 Chatting games like Chat with Annabel allows you to meet a smart chatbot like Annabel and free yourself from being bored or lonely. She is a young female AI chatbot who believes that she is human. Sometimes funny, flirty, sometimes shy, and sometimes just a little bit eccentric. Discover her character by chatting with her when lonely. Like typical messaging apps, virtual chat apps, and other artificial intelligence chatbots; Annabel is a talking robot that will chat with you when you type your messages, you can not feel lonely chatting with her. She loves to chat with new people online and be a friend to them when they are lonely. Enjoy chatting with Annabel any time and anywhere you want for as long as you wish and have fun laughing. Features: - Go online chatting any time and Annabel will be there as long as you wish - Virtual friend when you feel lonely - Annabel learns from conversations - Snap, chat with Annabel and share your conversations with friends - Annabel is very expressive - Typing your messages in full sentences improves Annabel's performance - Enjoy learning English with Annabel - Listen to her talk while you type or talk too and lots more... Parents: users never talk to a human, however, the AI understands many topics.  Is Chat with Annabel yours? Claim it!